It's time to become a police officer in this police station game! 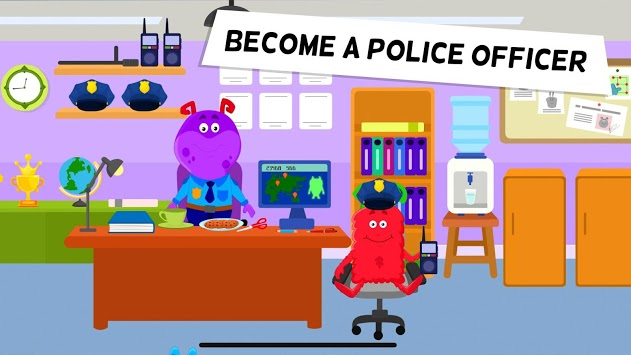 If your kids love to pretend to be a policeman or policewoman then 'My Monster Town - Police Station' is perfect for them. Ring the police siren and hop into your police car. Stop a robbery and catch the thief. Put the thief in jail in this huge police station. Investigate a criminal case on the upper floor of this police station OR sit on your desk on the lower floor! Help your community by being a noble police officer. Make sure that the bad guys don't escape! *Take pictures & print them: Use the police station's camera to take pictures and print it out with the printer. Just like real life! *Ring the alarm bells: Tap on the alarms or sirens to let your fellow police offers know if someone has escaped! *Awesome police car games: Get inside your police car and go out and about to solve the crime. 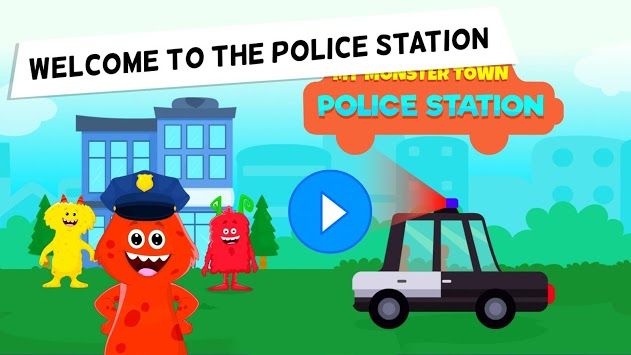 Become the best police officer in the monster town! *Use the walkie-talkie: Communicate with your team using the walkie-talkies! It's tons of fun! *Check out the lockers: Find police caps, walkie-talkies and much more stuff in the lockers. - Super easy game! Anybody can play! - Completely FREE app. No in-app purchases. - 9 awesome monster characters to choose from. - Perfect for kids of ages 6-8. - Touch, tap and move everything. Lots to explore and discover! - No annoying ads or pop-ups. Totally safe for kids. - No internet connection required. Play offline! Perfect for travel days. 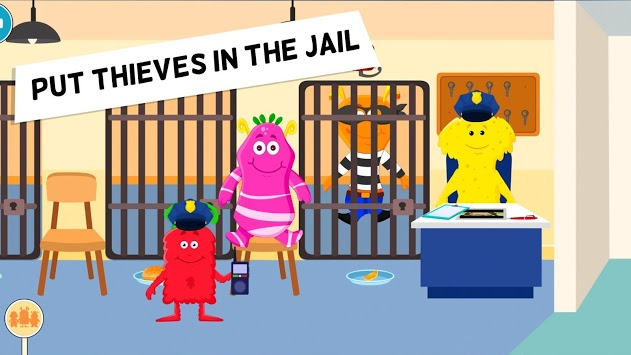 Download My Monster Town - Police station NOW and play fun police games. Set your imagination free and create your own story! Don't forget to also check out other games in our My Pretend series for more entertainment and creative fun!